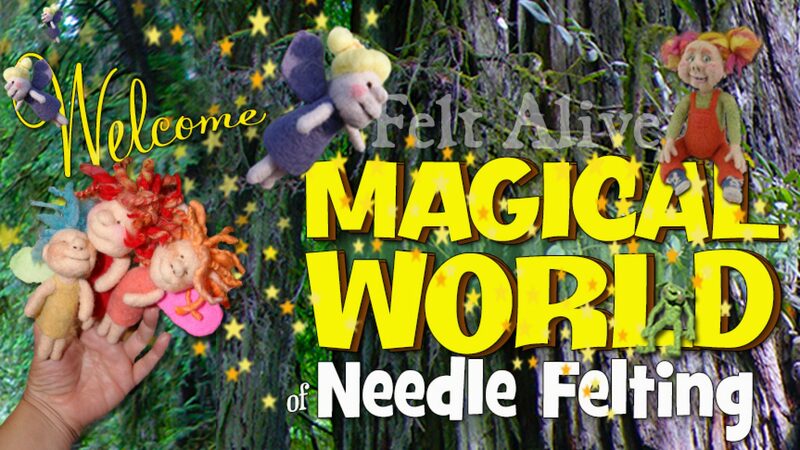 Home » Blog » Felt Alive Needle Felted Dolls » Bjarney The Icelandic Night Troll. Bjarney The Icelandic Night Troll. This Bjarney! He is an Icelandic Night Troll. Icelandic legend has it that these mischievous trolls come out at night. They must be well hidden during the day as even one ray of sun can turn a Night Troll into stone. Bjarney sits about 7″ tall. With the exception of his hair, Bjarney is made from 100% Icelandic Wool. 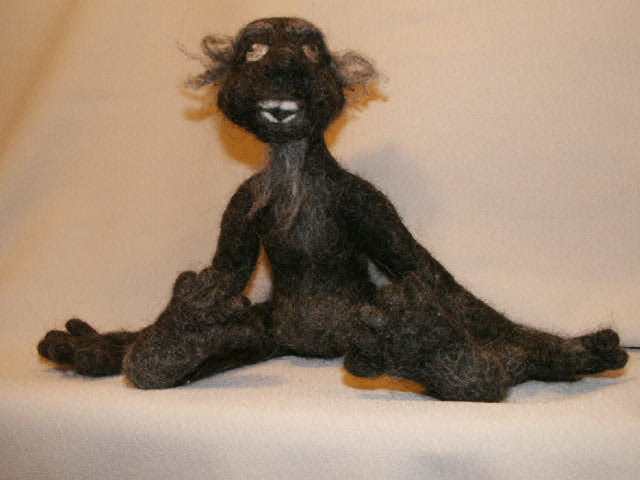 I used three natural colors of wool – black for his body, light brown for his eyes and natural white for his teeth and the whites of his eyes. Icelandic wool is rather coarse and hairy. This gives Bjarney a very primitive look. 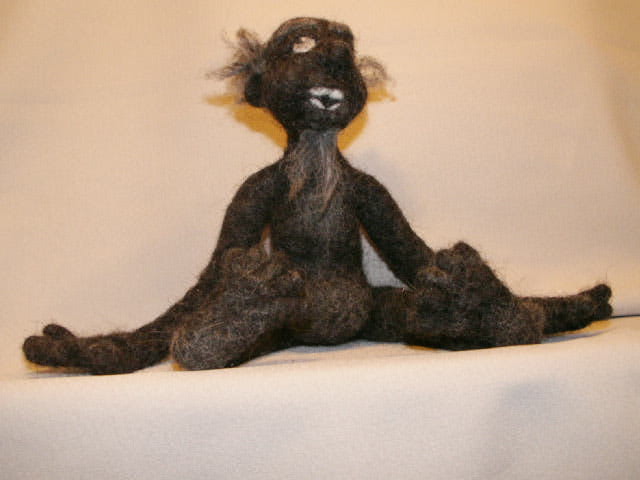 His hair and beard are made from a course, wool yarn. I’ve been to Iceland, and didn’t see a troll, but I can imagine this is how one must look! Awesome work! !